The heavy snowfall we have experienced this winter does present problems when it comes to gathering sap for maple syrup. As you can see in the photo above, getting to the trees, even if they are relatively close, is difficult. 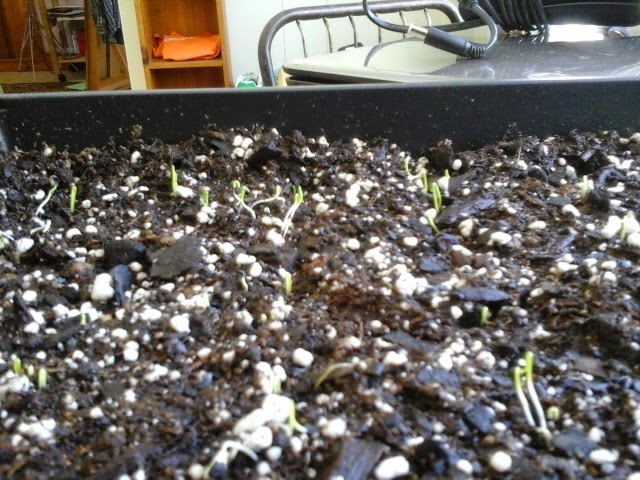 Climbing up that snowbank wont work. So, I shoveled and beat a path down with snowshoes. 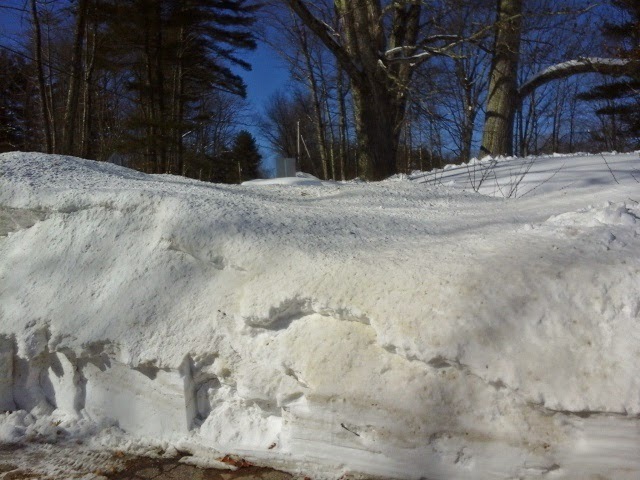 A much longer route to the tree, but it is the only way around that nearly 6 foot bank of snow. 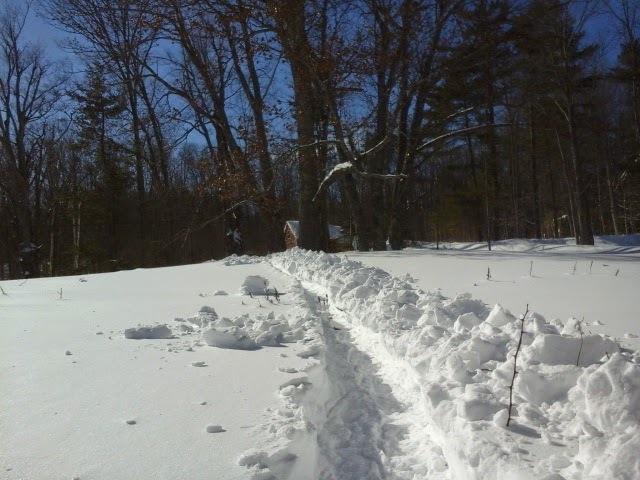 The bottom of the path is still a couple of feet above ground level, but with snowshoes it is doable. There are three more trees just out of sight to the right, and I also snowshoed a path to them. Due to the difficulty of just accessing the trees, I think we will limit this year's effort to 6 trees, with 10 taps total. 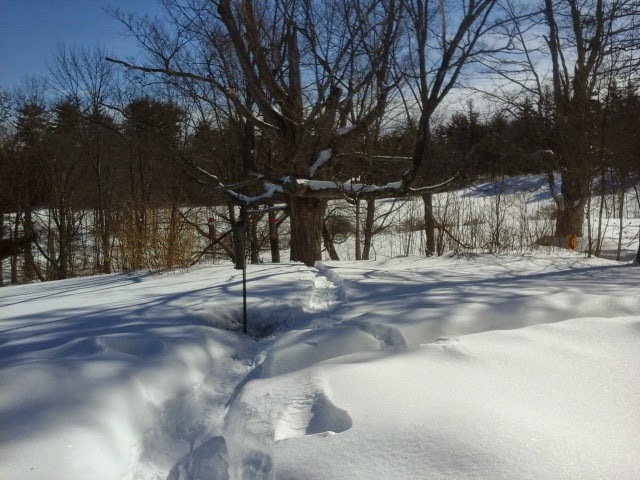 At the tree itself, I dig around till I can at least get an idea where ground level is, because setting a tap now about 3 feet above snow level, might mean when melting starts to happen that my buckets end up over my head! This old maple will get a tap also, but probably just one. Its large size would normally allow 3 taps, but it has a big dead section in the middle, so I will only place one bucket under a large living branch. Taps should be on the south side of the tree, either above a large root, or below a large branch.